In Sleepless Nights a woman looks back on her life--the parade of people, the shifting background of place--and assembles a scrapbook of memories, reflections, portraits, letters, wishes, and dreams. An inspired fusion of fact and invention, this beautifully realized, hard-bitten, lyrical book is not only Elizabeth Hardwick's finest fiction but one of the outstanding contributions to American literature of the last fifty years. Elizabeth Hardwick (1916-2007) was born in Lexington, Kentucky, and educated at the University of Kentucky and Columbia University. A recipient of a Gold Medal from the American Academy of Arts and Letters, she is the author of three novels, a biography of Herman Melville, and four collections of essays. She was a co-founder and advisory editor of The New York Review of Books and contributed more than one hundred reviews, articles, reflections, and letters to the magazine. 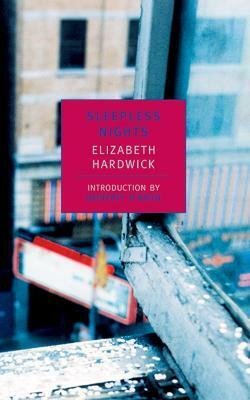 NYRB Classics publishes Sleepless Nights, a novel, and Seduction and Betrayal, a study of women in literature. Geoffrey O'Brien's books include The Browser's Ecstasy: A Meditation on Reading, The Phantom Empire: Movies in the Mind of the Twentieth Century, and Dream Time: Chapters from the Sixties. He is editor in chief of the Library of America.